Synchronise and charge your Micro USB smartphone with this stylish and case compatible desktop dock which also acts as a multimedia stand. Used for our Sony xperia phones. Well made and heavy enough for you to use the phone while it's docked /charging thanks to the tall back rest. The best in my opinion,as I already have one I bought this for my wife's phone. Just check the charging port on your phone to make sure it's facing the right way though. 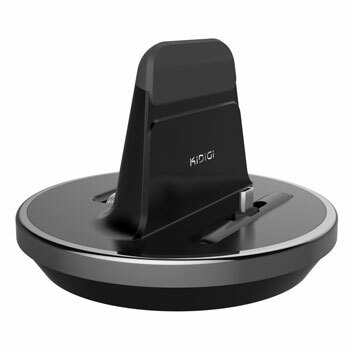 easy to use phone just plugs into micro usb with no effort then just torn the wheel to keep in place. I bought this because I was sick of buying usb cables literally every week they would stop working.I absolutely love this not only can I charge my note 4 but it also charges my Samsung Galaxy tablet I will definitely be buying a back up one and my daughter has asked me to get her one too. Buy this you won't be disappointed. Utilising innovative pass-through technology, this charging dock allows you to connect your smartphone to the cradle via a USB connection and simultaneously use the computer port to charge your phone as well as synchronise your data simultaneously. This means that not only can you be sure that your phone is fully charged but that you can quickly and easily back up important data from your phone onto your computer or laptop. This dock has an adjustable Micro USB connector that shifts from front to back, allowing you to fit your smartphone perfectly. 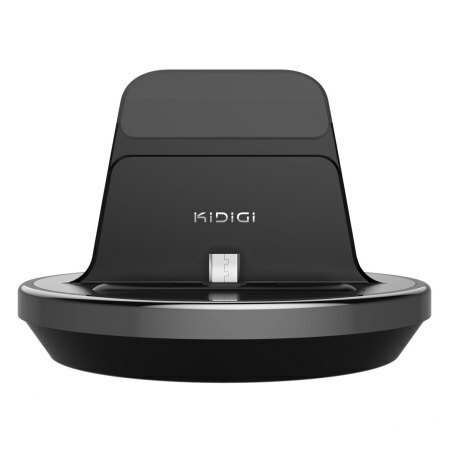 The Kidigi Omni Desktop Charging Dock stands your smartphone at a comfortable viewing angle. 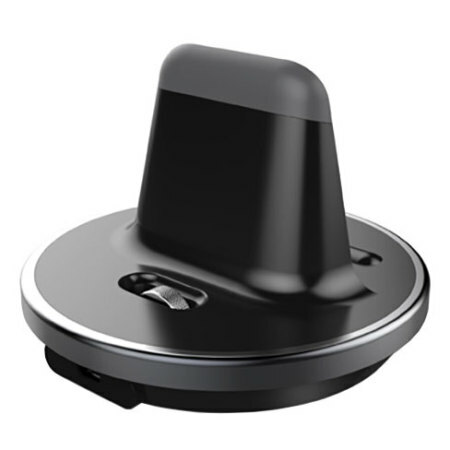 It features a unique tilting connection tip which provides enough room for you to use it with your device with or without a case attached, so you don't need to constantly remove your case from your phone every time you wish to use the charging dock. 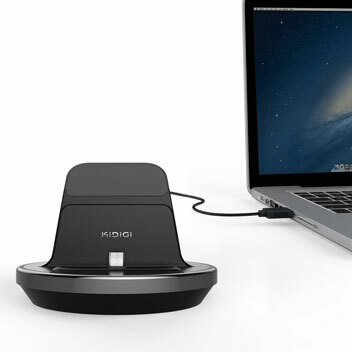 The dock includes rubberised feet which help to provide a stable and secure base, free of movement. It will also de-clutter and make your desk look neater with its high quality finish.